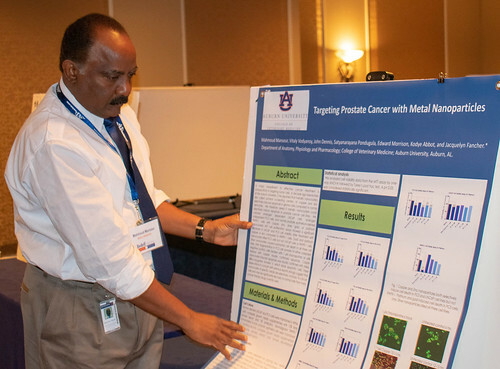 Auburn University’s 12th annual Boshell Diabetes and Metabolic Diseases Research Day is set for Friday, Feb. 15, at The Hotel at Auburn University and Dixon Conference Center. The event brings together experts from around the United States to present current topics related to diabetes and the role of obesity in its development. The meeting is highlighted by research presentations throughout the day and evening. Keynote Address – Mitchell Lazar, director of the Institute for Diabetes, Obesity and Metabolism and chief of the Division of Endocrinology, Diabetes and Metabolism, Perelman School of Medicine at the University of Pennsylvania. Lazar is an endocrinologist and physician-scientist known for his discovery of the novel hormone resistin and his contributions to the transcriptional regulation of metabolism. Plenary Lecture – Doug Mashek, associate professor, Department of Biochemistry, Molecular Biology and Biophysics, University of Minnesota. He is a leader in the study of lipid droplets, which are hallmark features of numerous diseases including Type 2 diabetes, nonalcoholic fatty liver disease and many cancers. Banquet Speaker – Steven Gundry, best-selling author, The Plant Paradox. Gundry is a renowned cardiologist and New York Times best-selling author whose mission is to improve health and longevity through a unique vision of human nutrition. The Boshell Diabetes and Metabolic Diseases Research Program at Auburn University is dedicated to improving the lives of all people with diabetes through its research and associated interdisciplinary programs, says Robert Judd, a professor of pharmacology in the Department of Anatomy, Physiology and Pharmacology and director of the Boshell program at the College of Veterinary Medicine. Registration for the event is open. It is free for Boshell program members, and $125 for nonmembers. Students and postdoctoral fellows can attend at no cost. A program agenda and registration information is contained on the Boshell website: www.auburndiabetes.com. Dr. Mahmoud Mansour, an Auburn University professor of veterinary anatomy, displays his research poster during last year’s Boshell Diabetes and Metabolic Diseases Research Day. The College of Veterinary Medicine is the South's original and nation's seventh oldest veterinary medical program, celebrating 126 years. We prepare individuals for careers of excellence in veterinary medicine, including private and public practice, industrial medicine, academics, and research. The college provides programs of instruction, research, outreach, and service that are in the best interests of the citizens of the state of Alabama, the region, the nation, and the world.